Relax in our comfortable hotel suites and rooms in Mount Laurel, NJ featuring free high-speed Wi-Fi, ample workspace, and ADA-compliant options available. Located on the more affordable side of the Delaware River, the Hotel ML offers guests quality accommodations with the perfect balance of modern conveniences and home comforts. 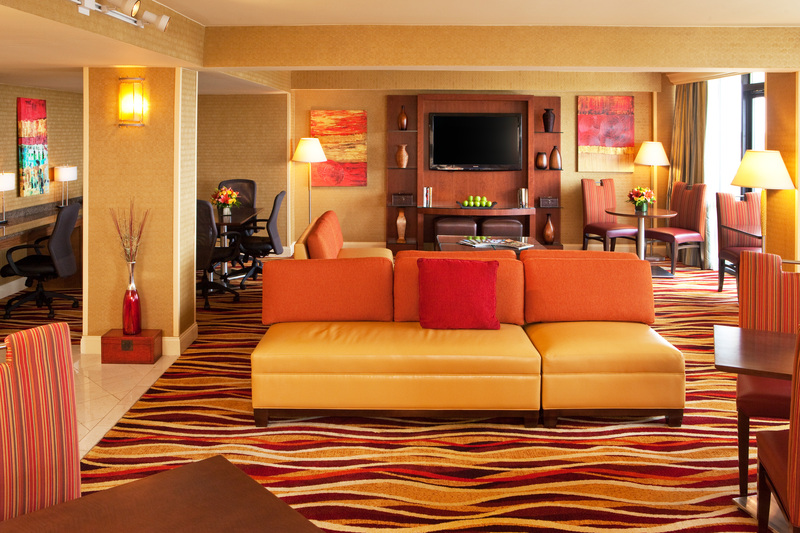 It’s easy to feel at home when you’re traveling on business or for a big event in New Jersey! Choose from our selection of rooms, suites, and renovated accommodations on our Concierge Level Floors. 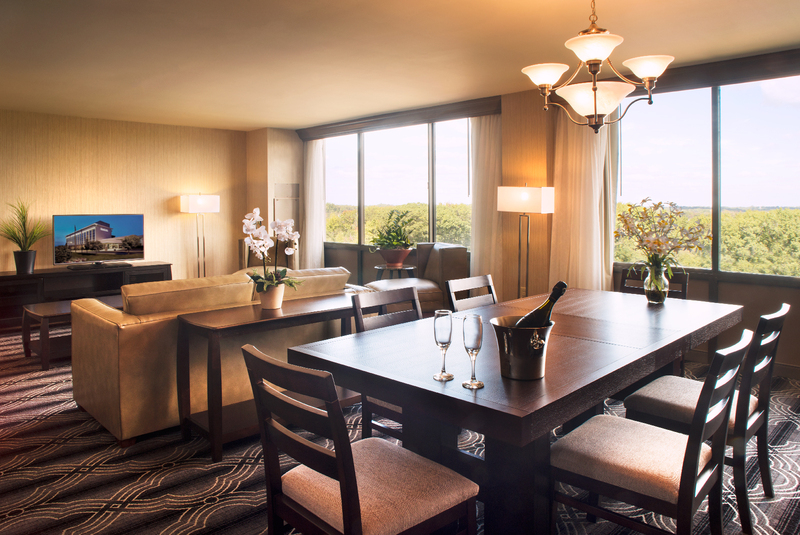 Enjoy exclusive lounge access and continental breakfast when you stay in our upgrade Concierge rooms. All of our rooms come with thoughtful touches like 37” flat-screen TVs, soft down comforters, and dedicated workstations. With our excellent location, it’s easy to visit historic Philadelphia, the Camden Waterfront, and corporate businesses in Moorsetown when lodging in Mount Laurel with us. Book a group block of our hotel rooms in Mount Laurel, New Jersey for your next wedding or tournament! Perfect for groups, stay in our renovated 2 Queen guest room. In addition to in-room amenities such as free Wi-Fi and modern furnishings, guests on Concierge floors have exclusive lounge access. Our lounge comes with evening refreshments and continental breakfast during set hours with whole fruit, pastries, and juice. Meals in the Concierge Lounge are available during set hours Monday through Thursday. 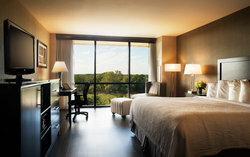 Choose from our selection of rooms, suites, and renovated accommodations on our Concierge Level. Guests on our Concierge floors have exclusive lounge access, complete with a continental breakfast, light snacks, and evening refreshments. 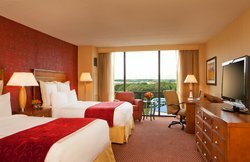 Ideal for business travelers, this renovated hotel room in Mount Laurel offers the privacy and tranquility needed for a productive stay. Guests have access to the exclusive Concierge Lounge with plush chairs, evening refreshments, and a continental breakfast of fruit and pastries. Ideal for business travelers, this renovated hotel room in Mount Laurel offers the privacy and tranquility needed for a productive stay. Rest easy in this Concierge Level guest room with a plush king bed and full sofa bed to accommodate additional guests. Enjoy a little extra space in our Executive King accommodations, a larger corner guest room on our Concierge Level Floor. Guests on this floor have exclusive lounge access, featuring a continental breakfast of whole fruit, pastries, and juice in the morning, as well as light snacks and refreshments in the evening. Stretch out with the space you need on in with two double beds, made with premium linens and inviting down comforters. Complete with a dedicated workstation, complimentary Wi-Fi, and full bathroom, it’s easy to feel at home in our Two Double Beds guest room. Stretch out with the space you need in with two double beds, made with premium linens and inviting down comforters. Sleep soundly in a king bed with a separate pull-out sofa bed for additional guests. 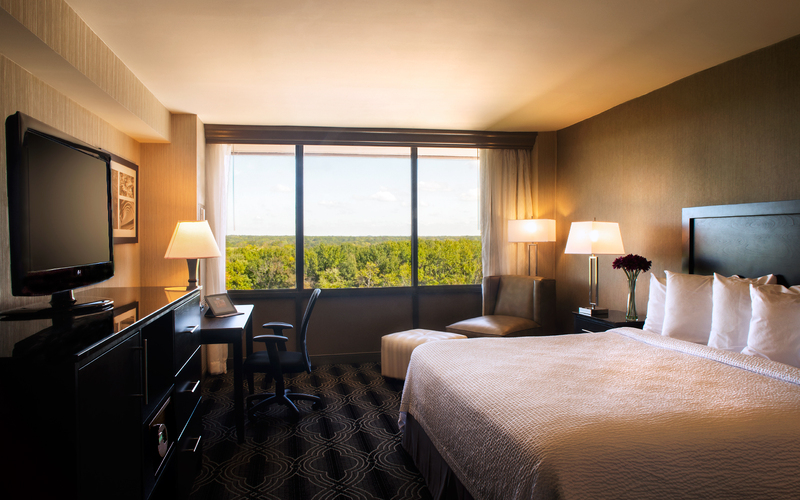 Our hotel rooms in Mount Laurel, NJ provide travelers with all the comforts of home, including complimentary Wi-Fi, 37” flat-screen TV, and a dedicated work desk. 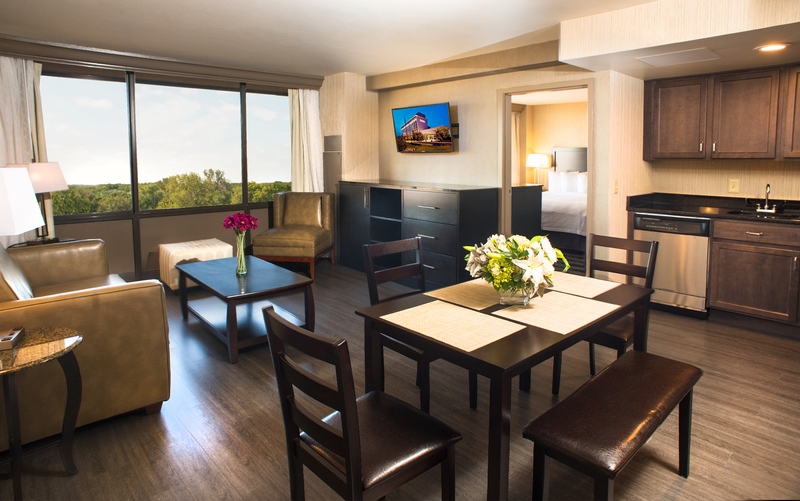 All of our rooms come with thoughtful touches like 37” flat-screen TVs, soft down comforters, and dedicated workstations. 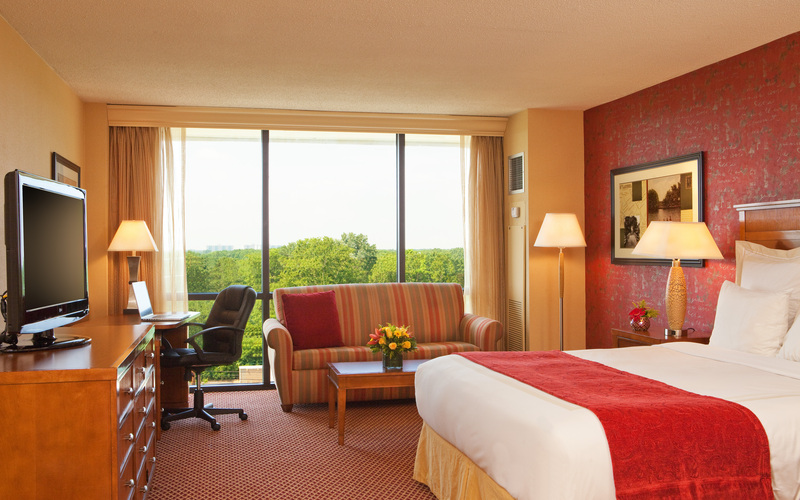 Have a streamlined stay in New Jersey in our Standard King Bed guest room. Ideal for solo travelers or couples, this affordable room provides guests with a comfortable place to sleep while staying connected with the outside world via complimentary Wi-Fi and a 37” flat-screen TV with cable channels. Perfect for families of seven, there’s space for everyone in our Family Bunk Room with one plush king bed and two sets of bunks beds. Keep everyone entertained with complimentary Wi-Fi, a 37” flat-screen TV, and a mini-fridge for snacks! There’s space for everyone with one plush king bed and two sets of bunks beds. Arranged with comfort and ease of access in mind, this accessible room features one king bed, technologically enhanced workspace and coffee table, along with adjusted counter height, lower closet height, and grab bars for easy bathtub and shower access. Find the accessible feature you’re looking for in our ADA Standard King with a larger roll-in shower in the washroom. 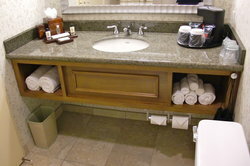 Other accessible features of this hotel room in Mount Laurel, NJ includes adjusted counter heights and space to maneuver in the spacious room. 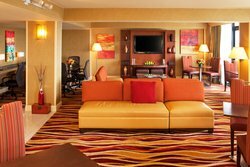 Take an extended stay in our hotel suites in Mount Laurel, NJ. Featuring a separate living area and bedroom with a plush king bed, the suite features a living room with a full-sized sofa bed and a technologically-enhanced workspace. Prepare snacks with ease at the dining table with an available sink, refrigerator, and microwave. Call our sales department at 856-234-7300 to book! Complete with separate living room and bedroom with a plush king bed, the suite features a small living room area with a full-sized sofa bed, a dedicated workspace, and a convenient kitchenette. Set up your home base in our Efficiency Rooms, ideal for travelers looking for a complete suite. Sleep soundly in the separate bedroom with a king bed and prepare meals in the kitchen, complete with a microwave, dishwasher, and stove. Featuring a living room, master bedroom with a king bed, dining table, and kitchen with a microwave, dishwasher, and stove.